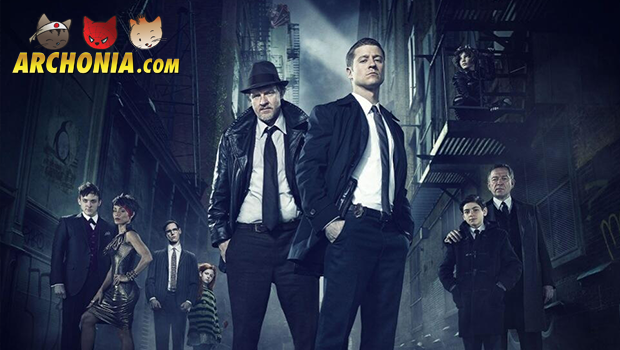 Have you seen the first episode of the Gotham TV series? No?! Well this must be your lucky day! You can watch the entire episode, right here. It’s a TV show based on the characters in the Batman franchise, mainly focusing on detective James Gordon and the young Bruce Wayne. It’s an origin story, so we will be fed a lot of background information. Especially on the rookie detective James Gordon, who is paired up with Harvey Bullock. They have to solve the murder of Bruce Wayne’s parents. The little boy who later becomes Batman. But since Wayne is too young to fly around as the Dark Knight, we’ll see a pre-Batman Gotham filled with criminals, corruption and crazies. Can James Gordon stop all this and turn Gotham into a save city again? See it for yourself? PS: Press ‘Play Now’ on the right side of the screen and voilà, you can watch the video!